I’ve written about this before but it’s well worth repeating. Please keep in mind, this is and has been the position of the Illinois board. If you appraise a property for Client A, and two years later, Client B wants you defend your report, you’re not required to answer their queries about the report created for Client A. What if Client B threatens to blacklist you for not cooperating in the review? When does the client relationship end with Client A? USPAP states: An appraiser must protect the confidential nature of the appraiser-client relationship. That seems clear enough. So, who is the client? Again, USPAP defines client as: the party or parties who engage, by employment or contract, an appraiser in a specific assignment. What if Client A is merged into or is purchased by Client B? Client B didn’t engage the appraiser, did they? Statement 9 is very clear on this point: A party receiving a report copy from the client does not, as a consequence, become a party to the appraiser client relationship. Question: I was recently contacted by a lender regarding an appraisal I had performed for another client. The lender had somehow obtained a copy of my appraisal report and had some questions they wanted me to answer. However, this lender was not my original client and was not named as an intended user. Are there any USPAP prohibitions against discussing my appraisal with this lender? Response: Yes. USPAP prohibits the appraiser from communicating assignment results or confidential information (as defined in USPAP) to anyone other than the client and parties specifically authorized by the client (with the exception of those authorized by due process of law, state appraiser regulatory agencies, and a duly authorized professional peer review committee under certain conditions). Even if the lender who had contacted the appraiser was identified as an intended user in the original appraisal report, that lender is not part of the appraiser-client relationship. Therefore, authorization from the client would be needed if that lender wanted to discuss assignment results or confidential information. Barring an agreement between the appraiser and the original client prohibiting disclosure of any information pertaining to the assignment, the appraiser may confirm that he or she performed an appraisal on the subject property, and may communicate anything other than assignment results (which include the appraiser’s opinions and conclusions, in addition to the value conclusion) or confidential information (as defined in USPAP). 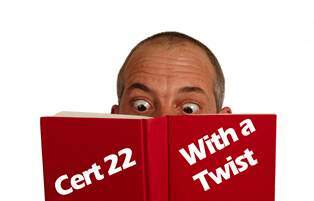 Also, please keep in mind that Certification 22 (not the dreaded 23) drives this point home. I am aware that any disclosure or distribution of this appraisal report by me or the lender/client may be subject to certain laws and regulations. Further, I am also subject to the provisions of the Uniform Standards of Professional Appraisal Practice that pertain to disclosure or distribution by me. The new twist seems to be, Client A goes belly up. Client B buys up all of Client A’s loan portfolio. Client A made dubious loans. Client B wants answers. Client B contacts the appraiser and demands a response to questions on Client A’s appraisal…or Client B will place the appraiser on their Do Not Use—Exclusionary—No More Work At All List. It is beyond ridiculous to punish an appraiser into violating USPAP. In Illinois, it’s illegal. It’s been illegal since 2009. This means you, Client B. Individual jurisdictions may see this completely differently than we do. We are taking USPAP at its word and we saw fit to make it a felony for repeat offenders back in 2009. This is precisely how Illinois promotes appraiser independence. Problem is only appraisers follow USPAP, and the rest of the world doesn’t care. The lenders and lawyers still sue and drag appraisers through the mud. Next story Sense is like courtesy it is no longer common! AMC Sense is like courtesy it is no longer common!